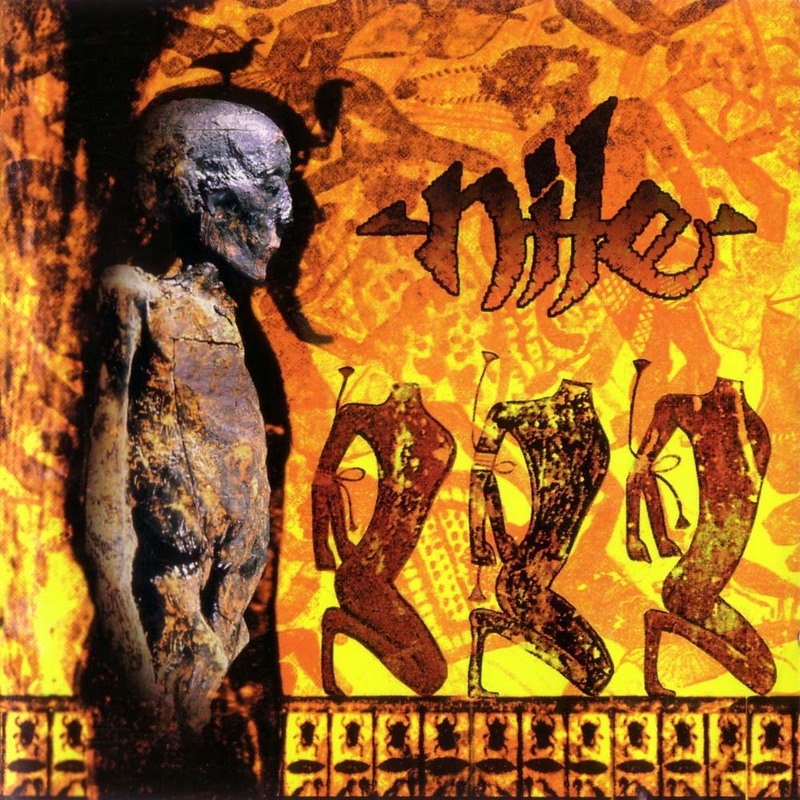 After spending a good five years finding and optimizing their sound South Carolina death metal combo Nile was contracted by American independent record label Relapse Records. 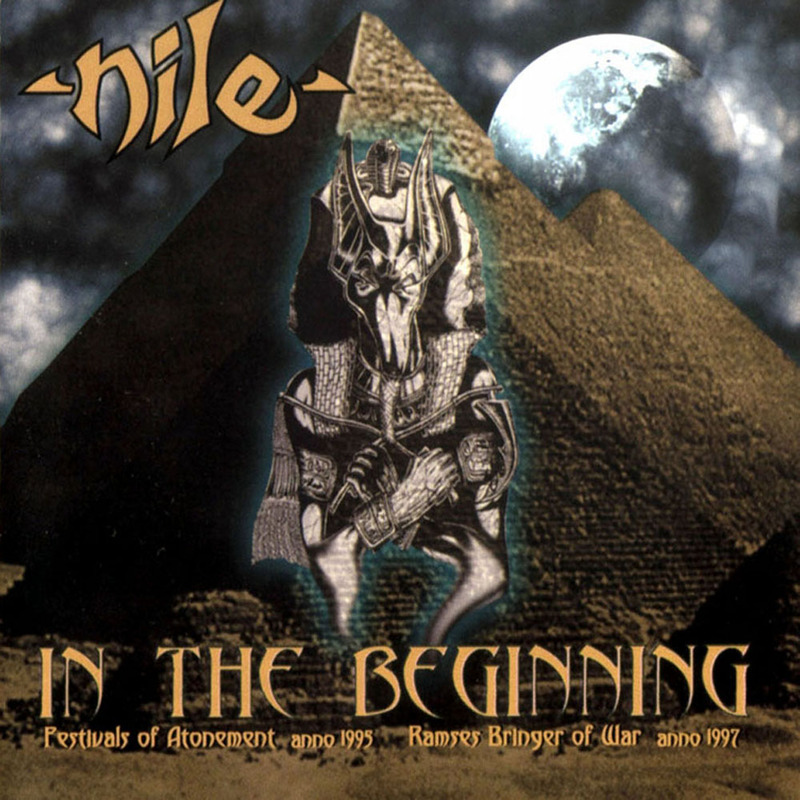 For their label debut Nile compiled the best songs of their demo phase, and wrote a handful of new tracks to balance out its debut. Mostly inspired by the early works of Cannibal Corpse, Incantation, Morbid Angel, Suffocation and Vader “Amongst the Catacombs Of Nephren-Ka” was a whirlwind of high-speed death metal intensity and a few brief atmospheric Egyptian-tinged flashes. So, despite the continual praise heaped upon these mortals – how good is that debut exactly? Well, it’s great for the most part, but it is littered with faults and shortcomings that would later be ironed out, thankfully. Of the new tracks ‘Barra Edinuzzu’ is among the more ambitious. Although lasting little over two minutes it houses one of the most impressive dynamic changes and chord progressions on this record, and an epic finale. The album is different from future output because it largely culls from the foundations of “Tomb Of the Mutilated” and “The Bleeding” in the sense that these are chunky death metal cuts played at an enormous speed. The drumming recalls Jim Roe’s tenure with Incantation, and the whole has that technical framework and percussive density usually associated with early Suffocation. The riff set and hunger bring in an influence of early Vader, and the slower cuts (however few) are clearly inspired by the B and C records of Morbid Angel. Add all that up, and what you get is an impressive package that is only cut short by the brief running time of the majority of the tracks. ‘Ramses Bringer Of War’ is partly redeemed by the inclusion of the intro movement from Gustav Holst’s ‘Mars, Bringer Of War’ from his classic symphony ‘The Planets’. Most other tracks are over before you know it, and the album itself is a rush of blastbeats, grunts and shrieking leads/solos. Thankfully by the second album Nile would have understood the importance of not rushing everything. That’s the biggest strike against this debut record. In their quest to be as ‘brutal’ (gosh, I hate that term) as humanly possible, Nile often forgets that it is not speed, density or heaviness that is paramount, but songwriting is. Take opening cut ‘Smashing the Antiu’, which is basically one long blastbeat interrupted by a slow section in the middle, and the lead section towards the end. This song could have been so much more, by just distributing its ideas more evenly, which would have extended it by a minute and a half. As much I like the song, it is brimming with ideas that are never really explored beyond the barest essentials, only briefly hinting on what is lying underneath. Most of the time it feels like ‘Smashing the Antiu’ and ‘Barra Edinuzzu’ is one bigger song cut awkwardly in half. ‘Serpent Headed Mask’ is pretty much identical to ‘Barra Edinuzzu’ in terms of overall composition, and its atmospheric break greatly enhances the effectiveness of the cut. 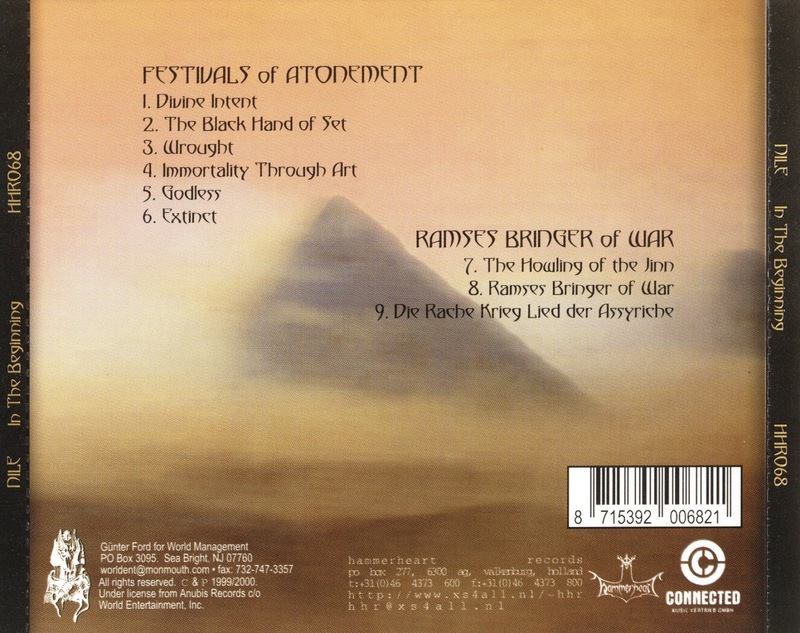 ‘Ramses Bringer Of War’ is, of course, one of the album’s signature highlights – and the fact that is was just a re-recorded demo track makes it even more impressive. The line-up is identical to the ones of the preceding demos, with exception of the ousting of guitarist John Ehlers. This translates in a natural transition from a demo band into a full-blown professional outfit. The band sounds cohesive, tightly-knit and really gels together well. The interplay of the three vocals is what makes the band’s first (and second) album way more interesting than their later output. On here the band uses every vocal style at their disposal. Deep growls, throatier grunts, angry shouts, whispers, tribal chants, and even sparse narrative bits are employed through out. This would be abandoned at a later stage for a combination of more traditional death grunts. “Amongst the Catacombs Of Nephren-Ka” was recorded as a three-piece with only co-founder Karl Sanders handling guitar duties. Chief Spires (bass guitar) and Pete Hammoura (drums) both share vocals with Sanders, and only after the completion of this album second guitarist/vocalist Dallas Toler-Wade would be enlisted. For the first time Nile recorded at Sound Lab in South Carolina with producer/engineer Bob Moore. The result is that this debut sounds a lot more forceful, meatier and generally more concrete compared to the preceding demos. Much like Kataklysm’s “The Mystical Gate Of Reincarnation” the album is heavy on the bottom-end, and expenses clarity and definition for the sake of an all-out barbaric onslaught. The absence of clarity, definition and range would be duly rectified on subsequent recordings, but for a debut the production is fairly impressive. The artwork and graphics by Adam Peterson also look great, and the whole package exudes professionalism and seriousness. Curiously there is no photography whatsoever in the booklet for this debut, and that added a bit to the mystique of the band, and the relative novelty of their Egyptian concept. The lyrics, as the band name suggests, deal with Egyptian culture, history and mythology – while the album title refers to the pulp and atmospheric horror literature of H.P. Lovecraft. Nephren-Ka, also known as the Black Pharaoh, is a character from the Cthulhu Mythos who started the worship of Nyarlathotep, a malign entity also known as the Crawling Chaos. He is featured in the novel "The Haunter of the Dark", published 1936.